Nothing is sadder than a woman who desperately wants to have children but can’t bear them. Nothing is scarier than a ghost who steals them. The ghost in this story is both, which makes it one of the most sad and scary ghost stories of all time. It all started many years ago, when a young woman was preparing for her marriage to the love of her life. She’d wanted to be a mother ever since her childhood and couldn’t wait to grow up and start her own family. Imagine her dismay when she discovered the day before her wedding, that she was infertile. If that wasn’t tragic enough, she took her own life on her wedding day, plunging all who loved her into a deep grief. It wasn’t until a year later when some children started disappearing once they reached the age of five years old. I tell this story as a grandmother now, but back when my son turned five, you can bet I took extra precautions! I spent every night sleeping in his room with all the lights on, with the Bible under my pillow right next to a rosary. I didn’t count on a blackout letting the ghost in! What woke me up in the middle of the night was the fact that all the lights had gone out. Everything was silent. I sat bolt upright – already caked in sweat – as I watched a veiled shadow creep along the walls, then the ceiling. Then she turned towards me and reached out her arms towards me – pleading with her veiled face. She stopped right in front of my bed and I saw her frightening face, but her tears twinkled in the moonlight. She was wearing an old fashioned wedding dress and the veil wafted about in the breeze. She tilted her head to the side and pointed out the window, before disappearing in a stream of dark light. Somehow I knew that she wanted me to follow her, but I made sure that my son would be kept safe. 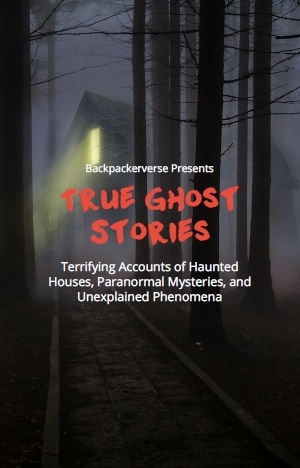 One of the most unusual ghost stories! I don’t know how it happened or whether it was a dream, but I found myself in a dark wood. 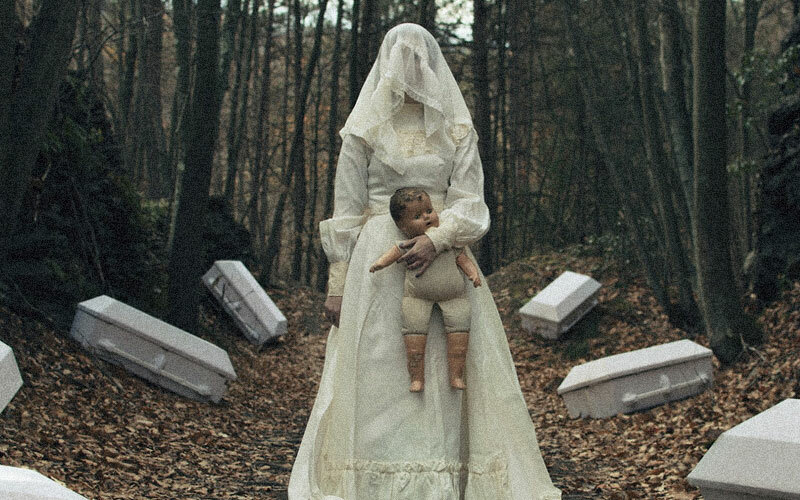 It was twilight and the veiled woman appeared, holding a doll and standing among many white, children’s coffins. I didn’t have to ask to know that they were all filled with the bodies of deceased children. Before I could protest she told me in a raspy voice, “I take them when they’re dying!” I was amazed and horrified. I nodded and before I knew it, I was back in my son’s room. I ran to him and hugged him close, so grateful to have him. Ever since then, I have brought the Veiled Lady a small, white coffin every Dark of the Moon. My grandchildren, their children and those who come after them will continue to do so after I’m gone. If they don’t – well – I don’t want to say. Remember – if you feel so inclined on the Dark of the Moon, put out a small, white coffin for the Veiled Lady.